H2O is still the best! Most people have no idea how much water they should be drinking, and most people especially in the developed work live from day to day in a dehydrated state. They don't drink enough water. Water is absolutely essential to our well being. Without water, we would be poisoned to death by our own waste products and toxins resulting from metabolism. Water is vital to digestion and metabolism, acting as a medium for various enzymatic and chemical reactions in the body. It carries nutrients and oxygen to the cells through the blood, regulates body temperature and lubricates our joints (which is particularly important if you're arthritic, have chronic muscular-skeletal problems or are athletically active). We need water to breathe. We lose approximately one pint of liquid every day just by exhaling. If you are not in 'fluid balance', you can impair every aspect of your body's physiological functioning. "As a result of not drinking enough water, many people encounter such problems as excess body fat, poor muscle tone and size, decreased digestive efficiency and organ function, increased toxicity in the body, joint and muscle soreness (particularly after exercise) and water retention." "Proper water intake is the key to weight loss," says Dr. Donald Robertson, Scottsdale, Arizona. "If people who are trying to lose weight don't drink enough water, the body can't metabolize the fat, they retain fluid, which keeps their weight up, and the whole procedure we're trying to set up falls apart." "I'd say the minimum amount of water a healthy person should drink is 10 eight-ounce glasses a day," he continues, "and you need to drink more if you are overweight, exercise a lot, or live in a hot climate. Overweight people should drink an extra eight ounces of water for each 25 pounds that exceeds their ideal weight." Your water intake should be spread judiciously throughout the day, including the evening. Dr. Flaks cautions against drinking more than four glasses in any given hour. Always check with your physician before embarking on a water intake increase program. Now you may ask, "If I drink this much water, won't I constantly be running to the bathroom?" Initially, yes, because of the hypersensitivity of the bladder to increased fluids. But after a few weeks, your bladder calms down, and you urinate less frequently, but in larger amounts. There is a difference between pure water and other beverages that contain water. Water is water. Obviously you can get it by consuming fruit juice, soft drinks, beer, coffee or tea. Unfortunately, while such drinks contain water, they also may contain substances that are not healthy and actually contradict some of the positive effects of the added water. "Beer contains water, but it also contains alcohol, which is a toxic substance. Beverages that contain caffeine, such as coffee, stimulate the adrenal glands; fruit juices contain a lot of sugar and stimulate the pancreas. Such drinks may tax the body more than cleanse it." Another problem with these beverages is that you lose your taste for water. The way to interpret all of this, therefore, is that the recommended daily water intake means just that, WATER! thnx for such a nice post! 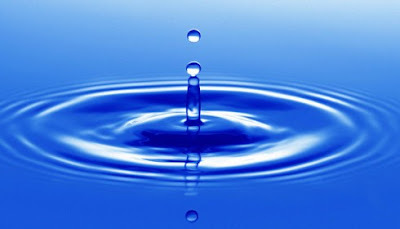 you describe well the importance and value of water....keep it up! thanx 4 your visit..i hope you have got valuable information.. I really enjoyed this post. I recently started drinking a lot of water compared to not drinking any water at all during the day. Of course I go to the bathroom regular but I know I am doing something good for my body. Water is essential for proper functioning of our body and flushing out toxins. Intake of water is very essential therefore for humans. The need for water is vast and therefore the need to use it wisely and its become a serious issue dues to its scarcity. Visit http://www.bewaterwise.com/tips01.html for some water saving tips.